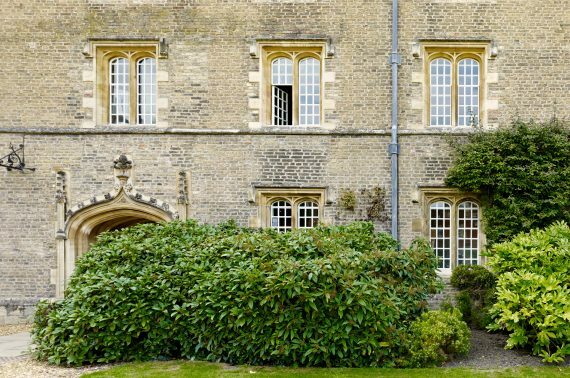 Jesus College has its origins in the 12th century Nunnery of St Radegund, whose site and buildings it occupies. 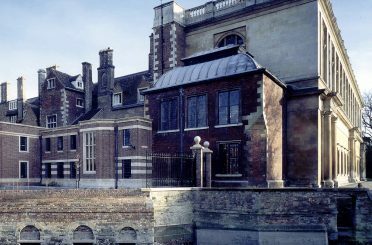 The Nunnery was dissolved by the late 15th century and the buildings were then remodelled to form Jesus College. 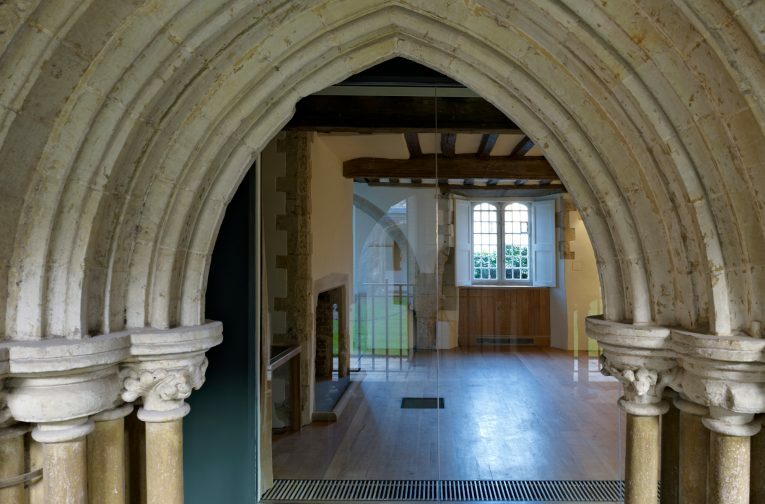 At this point, the Church was separated from its Sacristy and Chapter House, with the connecting door being walled up. 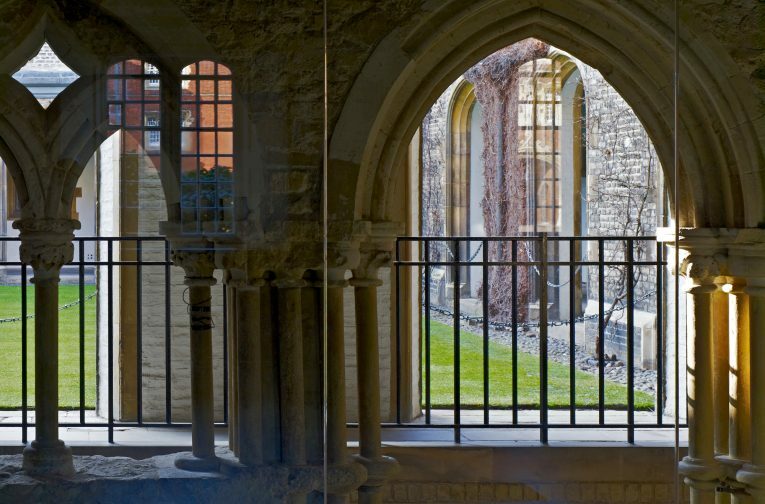 In the late 19th century, an archaeological enquiry saw the lost arcade of the Chapter House carefully freed from its immurement within the Cloister wall, forming a display with a brick screen wall erected behind. 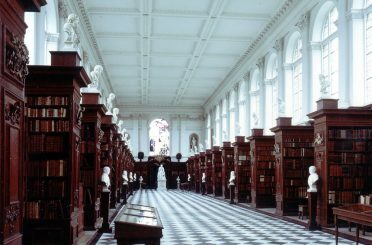 Donald Insall Associates’ involvement with the Chapter House began in 1995, initially to provide advice on a dry rot outbreak in the lavatories, which then occupied the space. 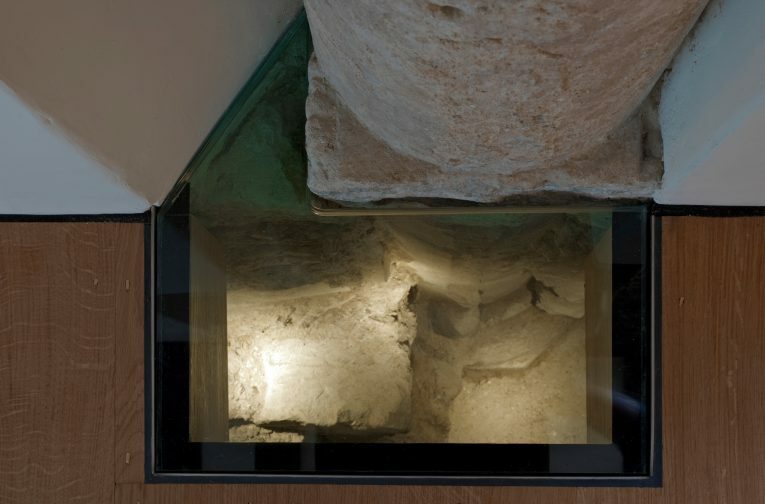 Whilst treating the dry rot and excavating the area with the Cambridge Archaeological Unit (CAU), fragments of the Chapter House tiled floor and two column bases were found one metre below modern ground level, together with fragments of the column and arch ribs of its vaulted structure within the thickness of later walls. 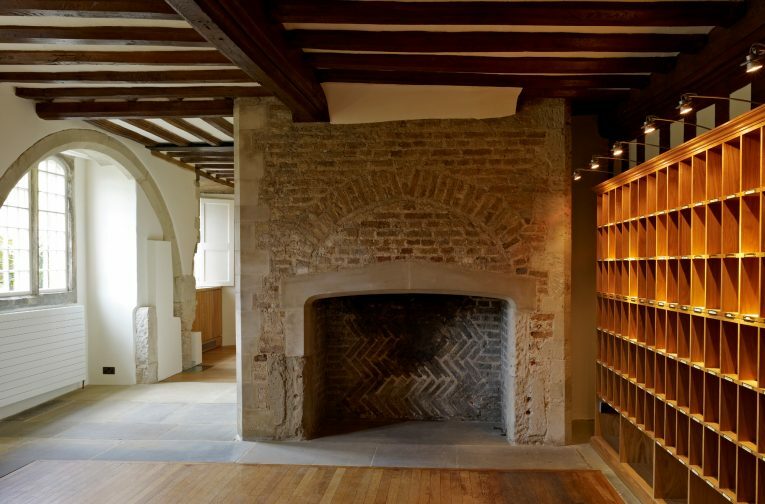 Subsequently the practice was appointed to expose the remaining vestiges of the Chapter House, incorporating this and adjacent spaces to provide additional facilities for the accommodation occupied by the Fellows Parlour. 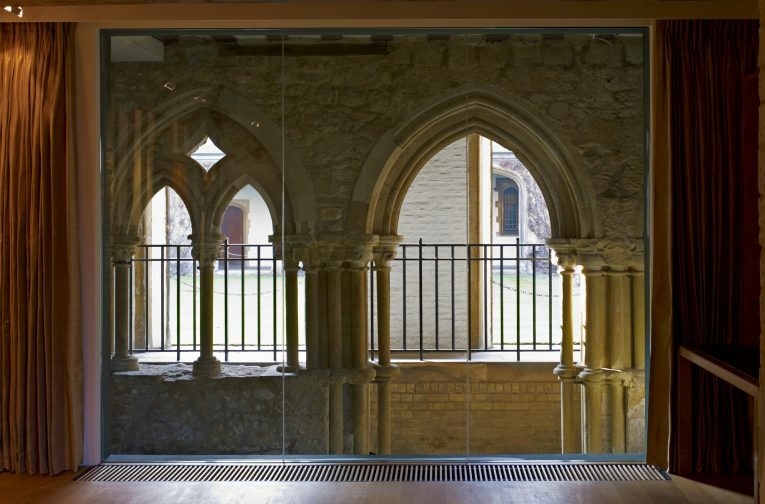 We explored a number of options for re-use with the client, and designed a scheme replacing the screen wall behind the arcade with glass and further uncover the remains of the Chapter House vaulting to enable its volume to be understood once more, allowing for a visual palimpsest describing the evolution of Chapter House over an 800 year period. 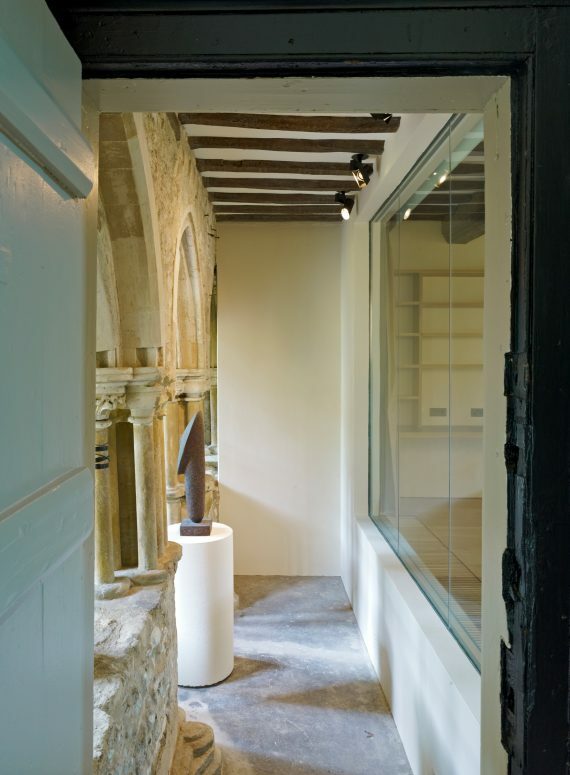 Any new work introduced was deliberately detailed to suit the ambience of each room and when juxtaposed with mediaeval fabric was designed in a contemporary style, but detailing was referenced by elements such as stopped chamfers and random width boards. 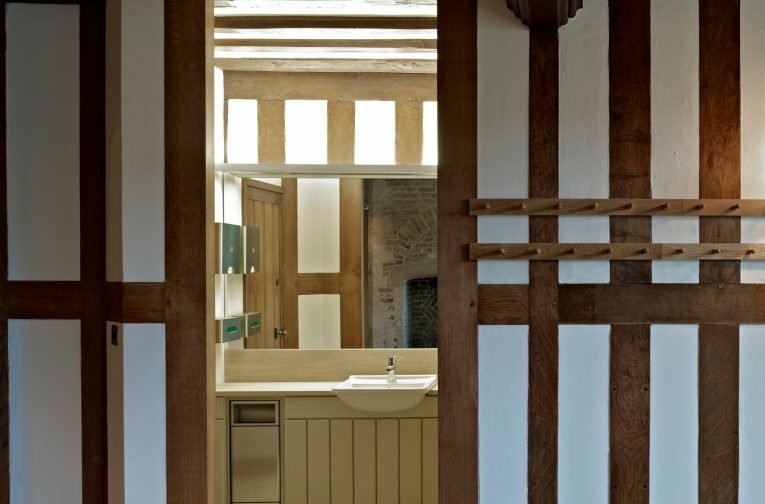 Particular care was taken to avoid direct fixtures to historic fabric. 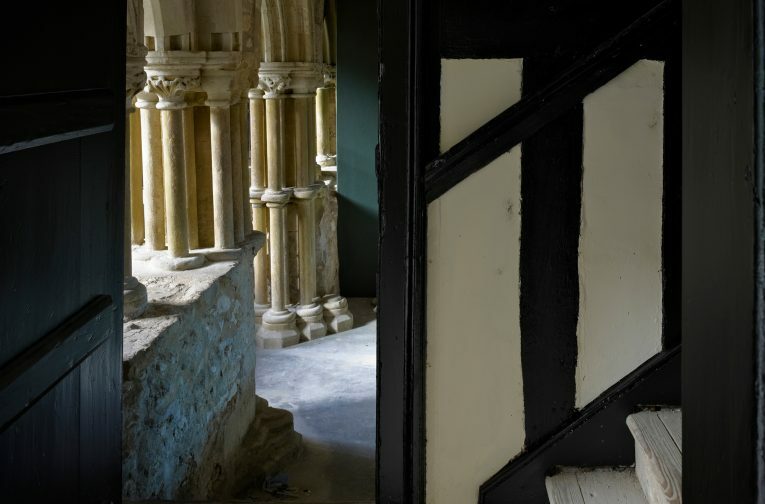 The entire area is listed as Grade I, and therefore we maintained close consultation with the Conservation Officer and with English Heritage throughout the project.